Once the order has been sent to you from a supplier you should receive it. This will update the on hand levels, wholesale prices and generate any back orders. 1. Click on the Receive order option next to the order you wish to process. 2. Once in the order for each item in the order you should enter the number you received. You can also adjust the wholesale price if required and ticking the option will update the products wholesale prices. 3. 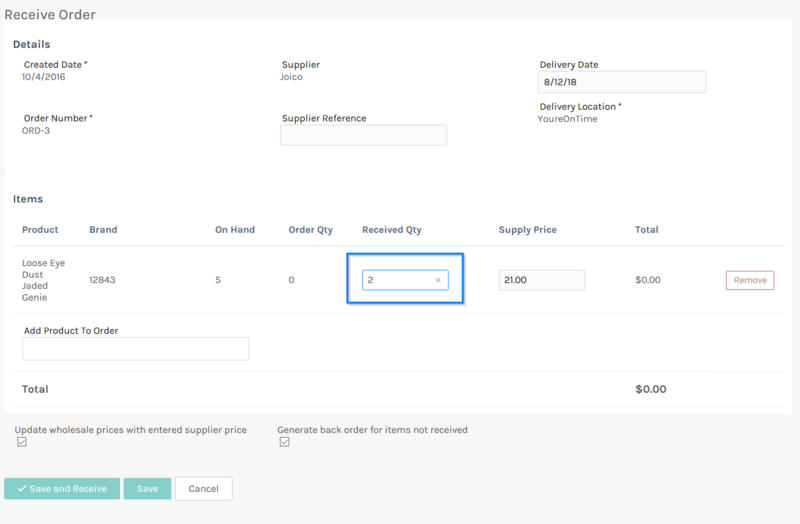 If you enter a Received Qty that is less than the Order Qty you can optionally generate a Back Order. This will automatically create a new order for the remaining items that were not delivered.